Hyundai Motor Co., South Korea's top automaker, plans to launch its first dedicated electric vehicle model earlier next year, industry sources said Monday. The hatchback compact electric model being developed under the name AE was supposed to be launched later this year but it was "delayed until March next year when it will be showcased in an electric car expo," sources told the English division of Yonhap News Agency.The expo refers to the International Electric Vehicle Expo, which will kick off in March on the southern resort island of Jeju. 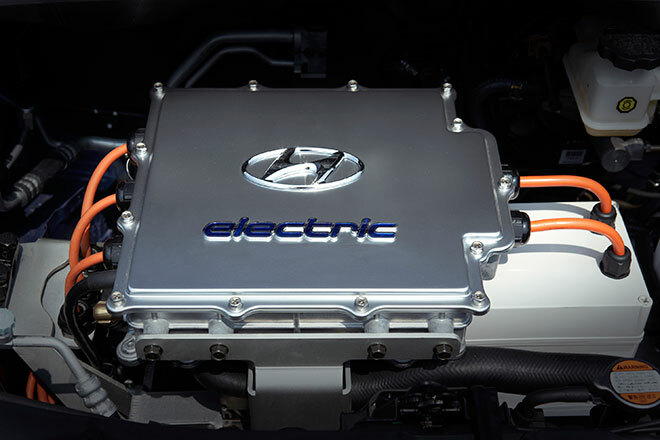 A Hyundai Motor official said that the hybrid model AE project will be unveiled earlier next year and the genuine electric car model will be showcased at the upcoming expo. The new model will mark the first time for Hyundai Motor to unveil a car exclusively developed as an electric vehicle. It has launched hybrid versions of existing models, such as the Sonata. Hyundai Motor has been working hard to develop its first dedicated electric vehicle model to compete with the market leader, Toyota's Prius. Market watchers expect that the new model could exceed the Prius in terms of fuel efficiency and price affordability. Meanwhile, China's BYD will launch its electric vehicle during the same expo, which can run 400 kilometers on a single full charge, the sources said.